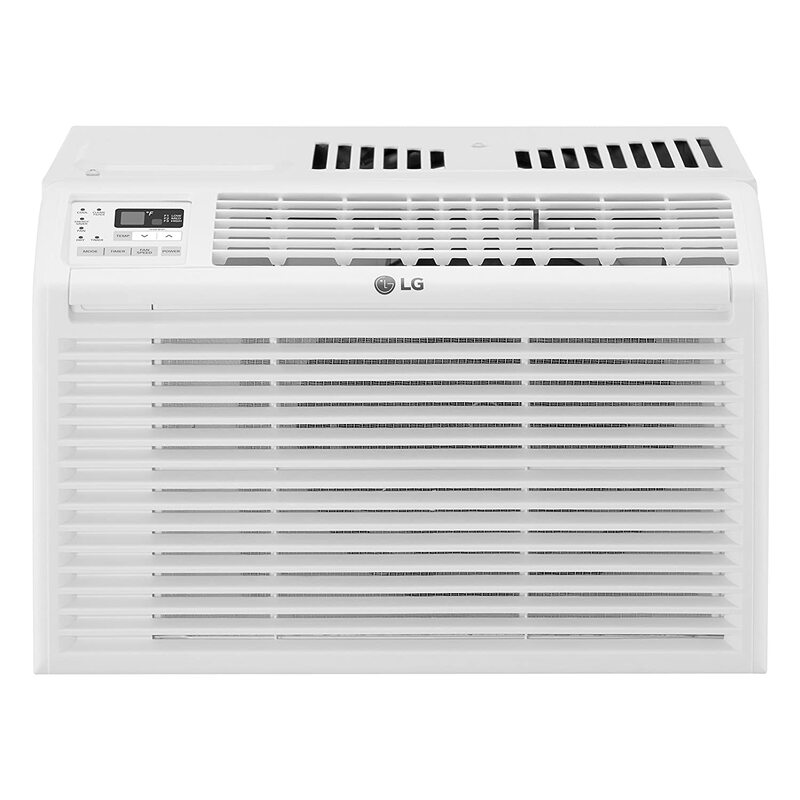 The 6000 BTU air conditioner is a small yet quite essential AC, especially when you only want to cool a small room. Moreover, they are highly affordable, hence you can get one at a very pocket-friendly price. However, the challenge comes when you have to choose the one that suits your needs most since there are many different models available in the market. In this article, we are going to help you find the best 6000 BTU AC for your money. We have picked the most efficient, convenient, and well-built units you can find out there and prepared a brief overview below of what each model has to offer. If you are planning to get this type of AC, you need to arm yourself with all the right information and this is a good place to start. The best air conditioner should fit your most basic need, which is providing cool air and comfort. When evaluating your choice, these are the main features you should consider. When choosing an air conditioner that you need to keep moving to new positions, portability is an aspect to consider. In terms of weight, it needs to be between 39-40 pounds so you can easily carry it from one room to another with ease. If you want to buy a model that occupies little space, choose one that measures around 14.4x17.3 x11.1 inches so you can use it in your small office without occupying too much of your space. You can also use it in places with limited space like rooms and studios. You have to put the room temperature aspect into consideration since you obviously want a model that saves you money. Buying one that can be used in both cold and humid areas is the best idea. This is because it comes along with both cooling and fan speeds which helps you easily adjust the temperatures in your room. Look for a model that also utilizes less energy which helps you spend less on electricity bills. Notably, it should meet the Energy Star requirement which reduces energy use by 15 percent. However, some models do not have this feature, so you should confirm the product’s energy efficiency before making a purchase. Last but not least, it is advisable to buy a model that is easy to use. Look for one that comes along with a remote for the utmost in convenience. Now that you know how to choose one of these models, let's take a closer look at each A.C. unit. The LG lw6017R has the ability to cool a room of up to 260 square feet. It also has three fan speeds for cooling flexibility. Moreover, it has a dehumidifier which removes 1.8 pints per hour hence, you can use it in areas with very high humidity. It is very easy to use since it comes along with energy-saving features such as the timer and sleep mode button, which can be accessed by remote. It does not produce much noise since it only makes 54 decibels of noise while running. This makes it recommendable for your office. It also comes along with a manual for installation. It is highly portable since it weighs 39 pounds, hence you can move it from one place to another with ease. It only occupies a very small space since it is 14.4x17.3 x11.1 inches. This model is of good quality and saves a lot of energy, reducing your electricity bills. You can afford this AC on a low budget since it is cheap. 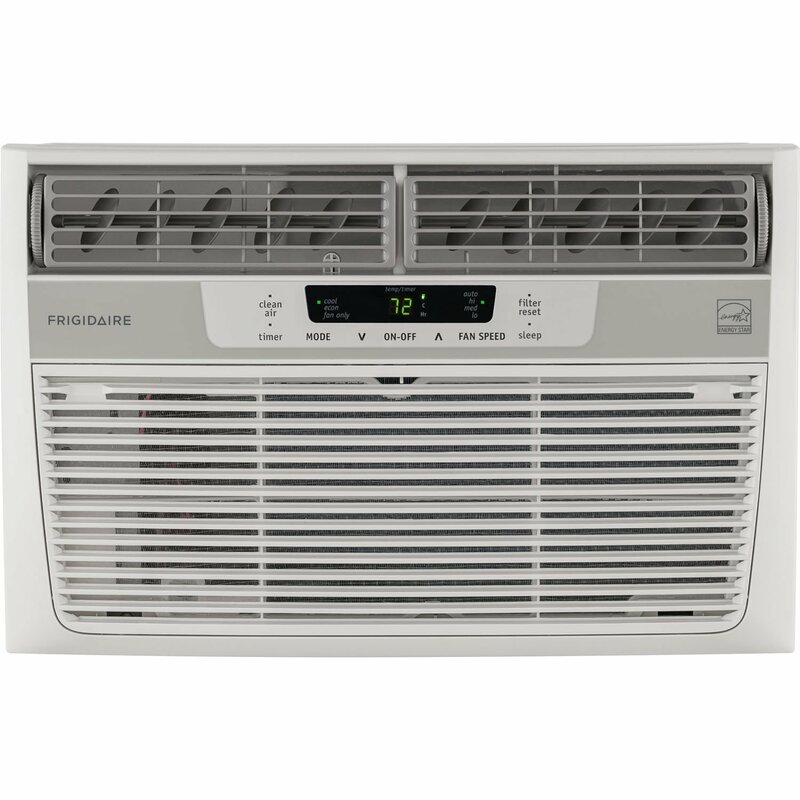 In case you have been looking for an air conditioner that is of high quality at a pocket-friendly price, that also saves energy and can be used in both cold and humid areas, this is the best option. This model also comes with four airflow louvers which help in equal distribution of air in your room. It also comes with a remote to operate which means you can easily operate it from any corner of the room. Furthermore, it doesn’t produce much noise since it produces less than 50 decibels while running. The installation process is simple since it can be installed through the wall or window. It only occupies a space of 20.9x14x18.9 inches hence, it can be used in small rooms and offices. It has a 115-volt power cord. Moreover, the air conditioner is best used in bedrooms since it does not produce much noise. You can use it even in an infant’s room. The power cord is six feet long, which is long enough for a bedroom or small office. In case you want to buy an air conditioner from a brand that you can trust, this is the best one. Although it is a bit expensive, it will give you good service. Will Effectively Cool Small Rooms of Up to 250 Sq. Ft.
Coming in the third position is the Frigidaire FFRE0633S1, a unit that gives you solid performance at a very affordable price. If you are looking for a budget-friendly unit that won’t disappoint you, then you might want to consider this unit. With a cooling capacity of 6000 BTUs, the Frigidaire FFRE0633S1 can comfortably cool rooms of up to 250 square feet. It has a multi-fan aspect which assists you in distributing air in three different directions in your room. It has a remote, hence it is easy to operate. In terms of operation, it comes with a manual which guides you on how to install it. Moreover, it is 18.5 inches wide, 3.4 inches tall and 15.5 inches long which means it occupies less space. It is easily portable since it only weighs 60 pounds. It has a long power cord which means you can plug it in on any side of the room. It has a timer, sleep mode, dry mode, and energy saver button on the remote. When you switch it back on, it remembers your previous settings so you do not have to reset it to where you left it. You can also mount it on the window. This item comes with a one-year warranty hence, if it stops working you can send it back to be repaired. In case you have been looking for an energy efficient air conditioner, look no further, this one is the best model for your room, office, or studio. The reason being, you will save around 25 percent of energy since the model meets the Energy Star requirement. It comes along with a remote and a long cord, which means you can attach where you want. The Emerson EARC6ERE is an ideal choice if you want a unit that’s silent enough to use even at night. It’s the quietest unit we’ve reviewed, but it also comes with some amazing features. This model has a cooling capacity of 6000 BTUs. You can use it in a room of up to 250 square feet. It has multi-fan speeds to choose from which gives you the ability to adjust the speed to the level you wish. Furthermore, it has a sleep mode which helps you adjust the temperature for night comfort. It has eight-way airflow which allows you to distribute the air where you want. Adjusting the temperature is easy to use since it comes with a remote. It also does not produce any sort of ambient noise, hence can be used in areas that require silence like hospitals and offices. It comes with all needed hardware installations. At 55 dB on high and 51 dB on low setting, this Emerson EARC6ERE model will not make any noise above a whisper. It will operate quietly giving you comfort and peace of mind too. It also has eco-mode which helps you save a lot of energy. You can use it in homes, malls, and offices too. It also has an indicator which tells you when to clean it. The air conditioner comes with a 24-hour timer which allows you to preset when to switch it on and off. It has a display, hence you can easily operate it. It offers efficient energy saving conditions, hence you will save a lot on your monthly electricity bill. 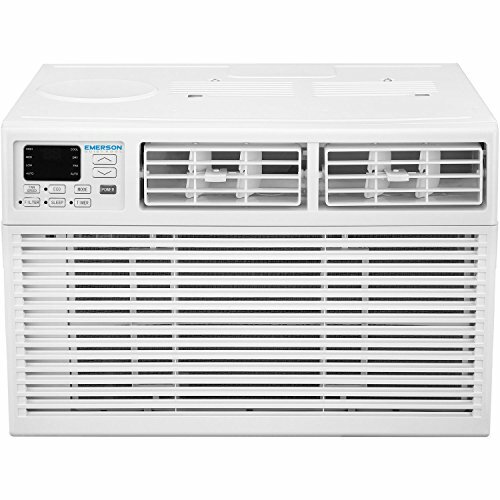 If you are looking for an air conditioner that you can use in an office, residential area, or hospital that makes virtually no noise, then this is the model to invest in. It is also easy to install, hence it will save you time during the installation process. 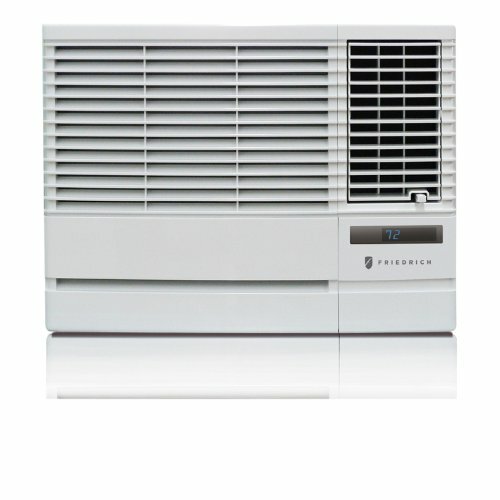 You need to take all aspects into consideration when looking for an air conditioner but put the most vital one for your unique usage as the first priority. All the models we have included above perform well. You may find that some even have energy efficient aspects. Generally, when selecting an air conditioner, select the one that fits your needs best. In order to help you choose the best model, we would like to answer some queries we are often asked. 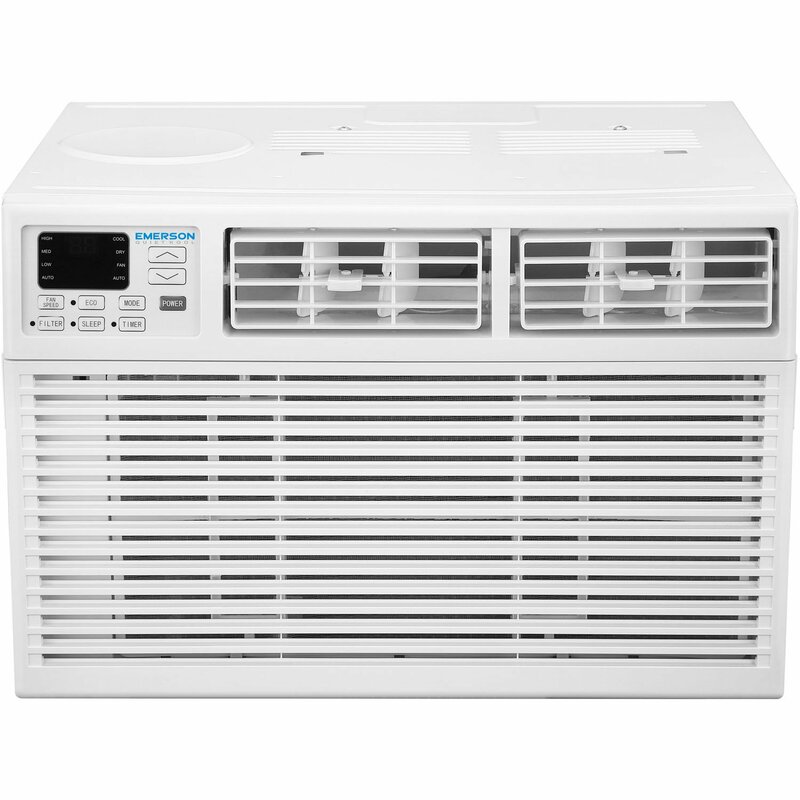 Is a 6,000 BTU Air Conditioner Easy to Use? These air conditioners come with manuals on how to operate them and some even have remotes for ease of operation. The Emerson EARC6ERE Quiet Kool 6000 BTU for instance. However, before purchasing one, ensure that the features include a remote or a manual to make operation as easy as possible. Is a 6,000 BTU Conditioner Better Than the Other Air Conditioners With Different BTUs Ratings? 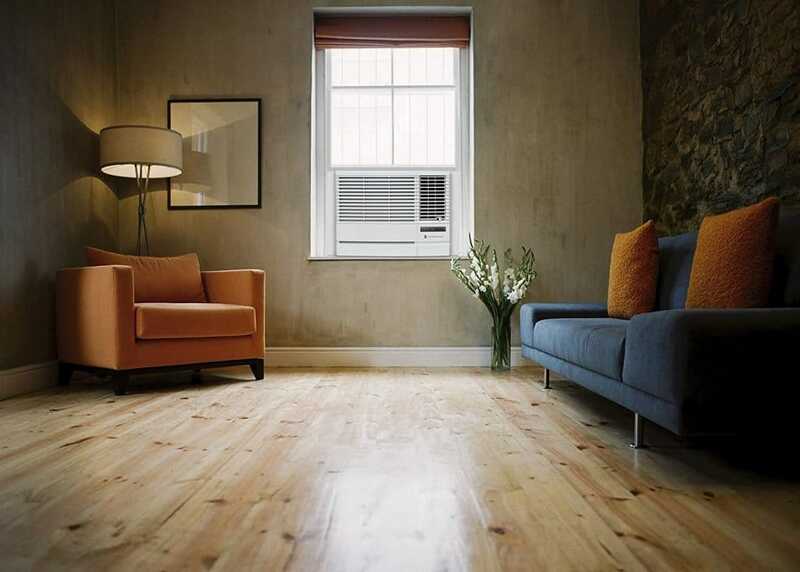 A 6000 BTU air condition can conveniently be used in a room of up to 250 square feet. The fresh air rotates into all corners. If your room or office is bigger than this, it is preferable for you to choose an air conditioner that has more British Thermal Units so that it can efficiently perform. There are conditioners of up to 12000 British Thermal Units which would only work well in larger areas like big studios, bedrooms, offices, and hospitals.